I471 to South on US 27, turn right into Springside & left on Springhouse to Brookstone. This first floor condo has only one step from the garage directly into unit and no steps throughout the unit itself. Needs your personal touch. end unit, eat in kitchen & granite counter tops. Nice pantry, extra cabinetry in garage. Walkout from master bedroom to patio. Tile backsplash in kitchen, new vanity in 2nd bathroom & updated vanity in master suite. Bay window in dining area. 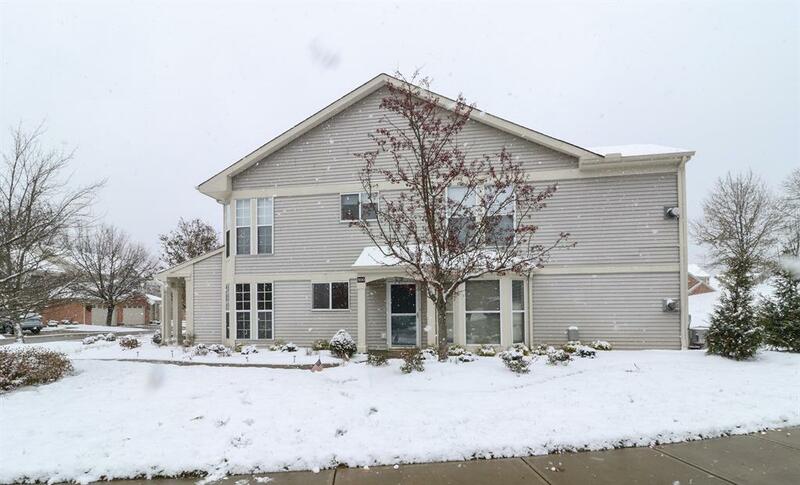 Great complex convenient to schools, shopping, churches and downtown Cincinnati. Nice gas fireplace to keep cozy this winter. Complex has clubhouse & pool. Room sizes approximate.